This entry was posted in Uncategorized and tagged atheism, Catholicism, coming out, Communion, family, funerals, religion by nancyabramsblogger. Bookmark the permalink. 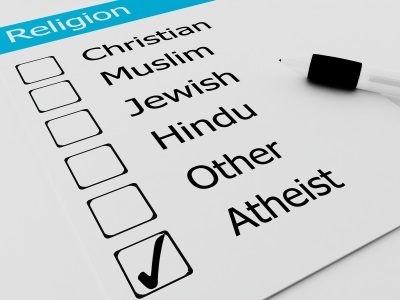 I took my time coming out as an atheist to most of my family, but it tended to happen quite suddenly at family gatherings in the course of some theological discussion. I never minded though, I’m moved out and have a family of my own already so it was never going to have that large of an impact on my day to day life. That’s a great place to be. The timing of a deconversion can definitely have a huge impact on how risky coming out is. It’s interesting to me that religious discussion and debate happen at family reunions for you, because my family has so many people who feel strongly about religion (but in different ways and with different religions) that they typically don’t feel comfortable doing that in front of the whole family. We sort of take each other aside to do it. Debate and discussion are definitely good things to have. It’s great to see people engaging in healthy critical thinking.